There is one shining example in nature of something that can grow for very long periods of time, to great sizes, and has the strength to withstand a lot of environmental stressors. Any guesses? Many people fail to appreciate the magnificence of these species and their true value in the circle of life, yet they act as what many scientists would refer to as the lungs of the earth. Still havent figured it out? Trees. Now, what is it about Trees that gives them such strength? Is it their crowns (or branching and leaf structures)? Is it their tall size? Is it their trunks? Is it their hard exterior? Many have suggested all of these answers when Ive asked this question. The one thing that most forget about, which provides the strength and nourishment for these living creatures to grow so tall and withstand heavy storms and winds, is their roots. The root structures of trees can be enormous and often match or are much greater in size than their crowns. 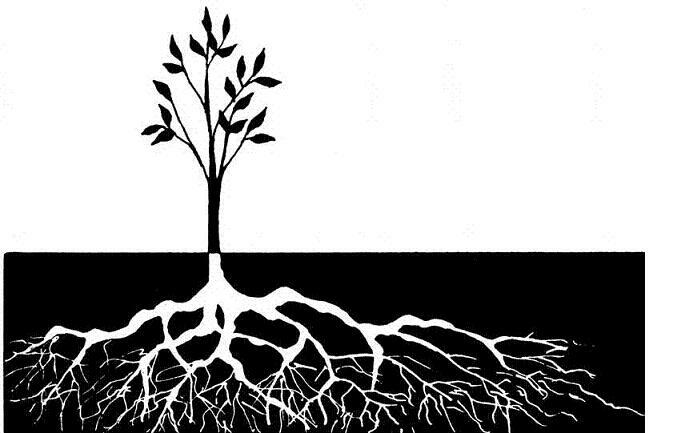 And in order for the tree to be strong, the roots need to be nourished and well developed. As in healthcare, if one does not focus on nourishing the roots, the foundation of health and wellness, then it is hard to ever achieve optimal wellness. When health concerns are addressed conventionally, they are often only treating the symptoms, while neglecting the causes. Rarely, do they look to find the causes, which lead to illness and dis]ease. More often than not, these causes, which alternative practitioners and Naturopathic Doctors look to address, come from lifestyle choices and factors, which are not nourishing or supporting our roots of health. So, what are these roots to health that I speak of? Well, when people speak of improving health in a general sense, especially Naturopathic Doctors or alternative practitioners, what are the two things that are usually mentioned the most? Diet and Exercise! These are two of the primary roots to health and wellness that need to be optimized in order for the body to function most effectively and prevent disease. Unfortunately, there is a lot of bad information and poor advice as to what constitutes a healthy diet. While my approach in my personal life and with patients encourages a diet that follows more closely with ancestral or traditional dietary habits, another dietary approach, which has shown to be of great benefit in wide range of health conditions, is the Mediterranean Diet or Anti]inflammatory Diet. Even amongst nutritionists and dieticians, there is far too much emphasis placed on carbohydrates and grains in our diets and this is the primary driver of blood sugar dysregulation, insulin resistance and ultimately inflammation and weight gain. There is far too much processed food, added sugars or sweeteners, flavour enhancers and colourings in the average diet, which placese an added burden on the body and does not promote optimal physiological functioning. Most people want what is fast, quick, easy and doesnt take much preparation. This is understandable in our society, which leaves us stressed, tired and not feeling up to preparing meals all of the time. However, this lack of effort in preparing healthy meals is what leads to poorer food choices and ones, which do not provide adequate or beneficial nutrition for the body. And taking time to prepare healthy meals does not only result in better nutrition from a physiological perspective but, many also feel that the energy you put into preparing that meal, is also returned to you upon sitting down to eat that meal and enjoying the result that youve spent time to create. Ultimately, diet is one of the number one roots, which when nourished properly through the right choices, provides some of the best return on overall health and optimal functioning of the body and in the prevention of disease. Next, we have exercise. Everyone knows it, yet far too few make any effort to do anything about it. We have become a very lazy, sedentary society. With the advancement of our civilization, the growth of cities, the use of automobiles and one of the potentially greatest detriments to our physical health through exercise, the advent of the television and its plethora of non]stop shows nowadays, very few of us get much in terms of movement other than walking around our house, going shopping, or to and from the car for work, or some minor house work. In years past, there was far more daily activity and movement exerted by everyone. This had such a beneficial impact on our health and wellbeing. Study after study shows the benefits of exercise and movement to promote general health, as well as, for treating and preventing most health conditions. An example, insulin resistance and prediabetes, the stage that is transitioned through before a diagnosis of diabetes is given, has been shown in numerous studies to be reversible just through diet and exercise alone. It amazes me how few people, when asked, get any daily exercise, not even as simple as a walk. And for most, even outside of instituting an exercise program involving weight or resistance exercises and cardio exercises, something as simple as a 30]45 minute walk daily, would have such beneficial effects for their overall health and wellness. There is a great video online through Youtube, called 23 . hours, which is a 10 minute video discussing the benefits of simply taking 30 minutes out of a 24 hour period in your daily life and the wide benefits gained from it. I encourage all to watch it. Nourishing this root to health, can be that simple, if you are unable to do more or are unwilling to find the time to do more. It doesnt take much to get some benefit by getting a little exercise. Another root that needs proper care and attention, which is a big problem in our fast paced, overworked, highly technological society, is Sleep. Without sufficient and proper quality sleep, the body will never be able to function at its optimal performance. It is during deep, restful sleep that our bodies do most of their work to repair damaged cells and processes, to give the body a break, and to process all the mental activity and learning from the day. Unfortunately, many people, due to poor sleep and the resultant poorer energy on most days, resort to using drugs to keep them going (ie sugar and caffeine). These stimulants cause a roller]coaster type of effect on the body often causing increase activity and productivity for a period of time, followed by crashing and burn]out whereby most resort to consuming even more of the products to keep them going. This cycle puts a lot of stress on the body and can disturb sleep even further, sometimes leading people to seek out prescription drugs to improve sleep. The drugs often have side effects and may be difficult for many to come off of, leading to life long dependencies on them. Many things can improve sleep and ultimately, improve health and wellness, over time. Diet plays a big role in effective sleep, as does exercise and exposure to sunlight and nature. Developing effective stress management techniques, discussed below, also has been shown to improve sleep quality. By addressing sleep concerns and improving sleep quality, one nourishes another root to wellness that makes it easier to work on making changes to nourish all roots of health. Finally, the last root of health and wellness, which tends to be the most neglected in our society as a whole, is effective stress management. Even those with a robust, healthy diet, who have a well]developed exercise program, and get great sleep, often neglect this area of their lives, such that they wonder why they still have concerns when everything seems to be in place to achieve excellent health and avoid disease. Stress has such wide]reaching effects in the body and is one of the hardest obstacles to cure in the path towards wellness. Most people only think of their stressors in terms of their conscious experience of stress or their reaction to something stressful. Thus, most people report much lower levels of stress than are really present. However, it is important to remember all of the sources of stress, which undermine a persons health and wellness. Poor dietary factors are a stressor to the body. Financial, work, relationship, family, and social stressors, whether immediately present as a conscious stressor or not, are most often ongoing stressors, usually in the subconscious and are continually affecting us. Any physical disease or alterations in physiological functioning on the cellular level are also sources of stress on the body. There are environmental stressors in the form of toxins in the air, our water, our food supply, our homes and our work environments, which all negatively affect the body. Over a long period of time, this myriad of stressors overwhelm the body and make it hard to react in a healthy way, such that it leads to further dysfunction and disease, and ultimately, ill health. So, what is effective stress management? Its finding techniques that allow one to not be so focused on external thoughts, events, tasks, etc. It involves taking time out of ones day to just be present with the self. One of the easiest ways to do this is developing a practice of mindful breathing, simply focused solely on the breath, without the need to control the breath. As your mind drifts away, try not to get frustrated by the numerous racing thoughts or by giving them attention, but just accepting their presence and coming back to the breath, continually. Some prefer to do deep breathing techniques where abdominal breathing is the focus and a length of time is given to each inhale and exhale. This provides an easier way for some to stay focused. Other forms of stress management are meditation (in one of its various forms), yoga, stretching, spending time outdoors surrounded by natural environments, gardening, etc. Each person will find what is more preferable for them, and as long as it is done with the right mindset or intention, and is done daily as a practice, the results have such wide ranging benefits. And while the results may not be noticed immediately, over time these benefits become more noticeable in your daily life. You may find you are not as reactive to stressors, events or people and you may find an improved sense of mood, mental outlook and overall health. When one chooses to make changes and improve and nourish each of these roots of health, it provides lasting benefits throughout life and can prevent the onset of many illnesses. Diet, exercise, sleep and stress management should be the first priorities to be addressed for trying to prevent, reverse or treat any illness. Without addresses these factors, there will continually be obstacles to cure or obstacles to optimal health and wellness. Remember the analogy of the tree, think of yourself as one, and in order to achieve that strength, vitality and long life, you need to nourish your roots.